Owner-Occupied or Investment. Prime Location. Desirable Rental Area. 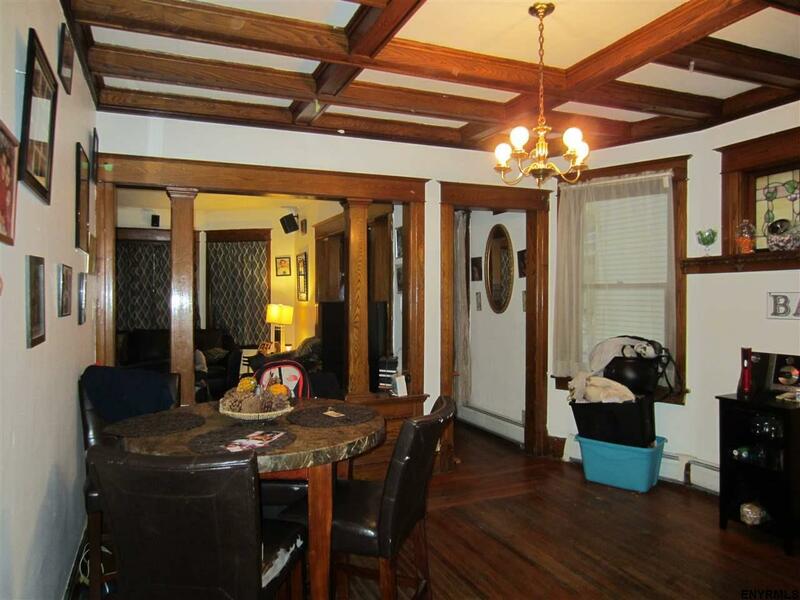 Beautiful natural woodwork: pillars, window & door frames, floors & box beamed ceilings. Stained glass. Pantries. Off street parking with wide driveway and backyard. See possession for lease dates. All separate utilities all paid by tenants.